How can ChargeBox improve your in-store customer experience? The in-store customer experience is vital to sustaining a strong presence on the high street and retailers are always looking at ways to improve this. As online sales continue to grow, attracting visitors back to the high street stores is a constant priority for the retail sector and having charging solutions is a way of changing their behaviours. In John Lewis' 2017 retail report, they talk about "shopping journeys [being] a mix [of] online and physical experiences" and how "customer service remains the glue that holds the entire experience together." ChargeBox has 12 years experience in offering public charging and we understand the importance of providing a charging service to consumers in todays digitally driven world. Over the years we've built some fantastic relationships with leading retailers such as John Lewis, TKMaxx and H&M. Year on year they continue to see the benefit of having an in-store charging service. "At John Lewis we've always been passionate about providing our customers with the very best service, and offering free charging in our shops is one of our ways of enhancing customer experience." Receiving positive feedback from our clients is always great, but we wanted to prove that what was being said was true. Back in August 2017, ChargeBox commissioned an independent study to measure the benefits gained from free charging. The results were outstanding! We found that having charging services not only increased dwell time, but also had a positive impact on basket size, spend, footfall and customer satisfaction. 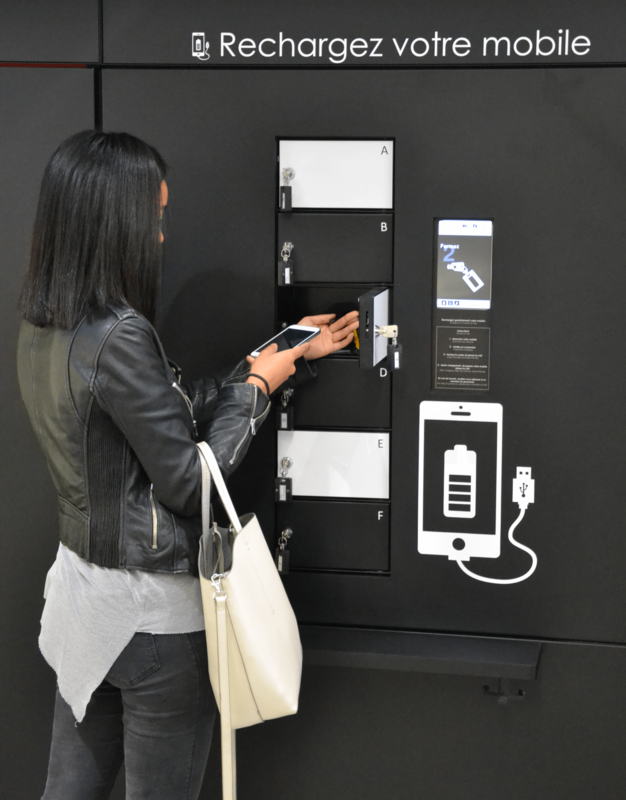 "At Fenwick we are focused on providing outstanding customer service and a great in-store shopping experience...A charged battery enables them to stay connected with loved ones and allows them to enjoy an omni-channel shopping experience." ChargeBox are aware that each retailer have their own objectives and bespoke in-store aesthetics, so we have designed a range of solutions, both lockable and open, that fit any requirement or environment. With our wealth of knowledge and expertise, ChargeBox make sure that we can provide a solution to match whatever brief is provided by our clients, with customer experience being at the forefront of our minds.